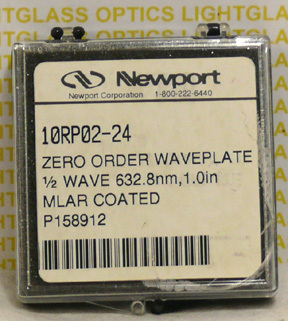 The Newport 10RP02-24 Zero-Order Waveplate is made of schlieren-grade Quartz and is optimized for 632.8nm. The diameter is 25.4mm, so it will fit Newport mounts and stages with a nominal 1" opening. The clear aperture is 15mm and the retardation is lambda/4.